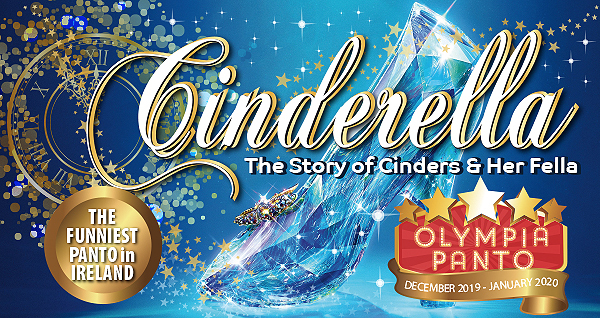 As everyone has discovered, The Olympia Theatre Pantomime is now THE MUST SEE Panto in Dublin! With a glittering Celebrity line-up, traditional Panto values and the funniest script in the country, this year will be as star studded and surprising as ever. Cinderella –The Story of Cinders & Her Fella – is the most entertaining, magical and funniest family Panto you are ever likely to see! The running time of the show is approximately 2 and a half hours including interval.